After going under new ownership in 2017, Popeyes restaurants meets customers demands and starts offering delivery across the nation. Is it available in your area? What are the fees associated with the delivery and what hours can you have food brought to your door? This article will answer all these questions. 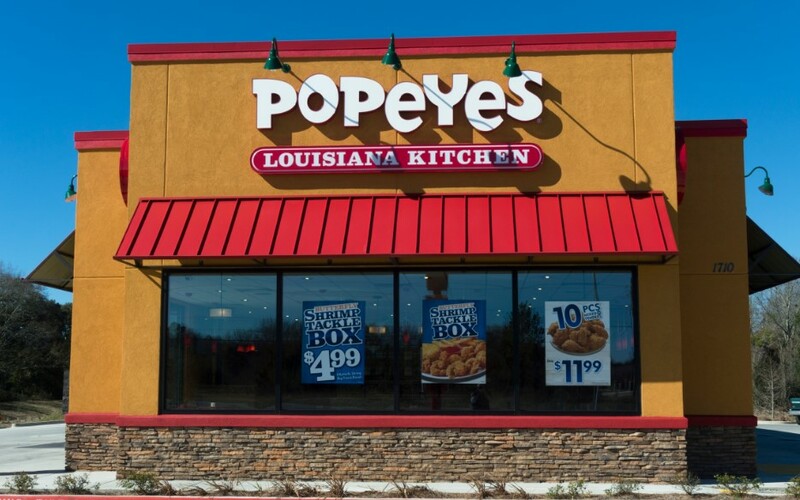 After Restaurant Brands International (RBI) took over ownership of Popeyes Louisiana Kitchen restaurant’s the calls started coming in. Customers all over social media demanded delivery. Company Twitter accounts recorded a request for delivery from customers over once an hour. In May of 2018, they made the announcement that they worked out a deal with Uber Eats to secure delivery. The market began in select markets consisting of New York City, Chicago, Washington D.C. and Miami. Has the service expanded to your city? How much does the delivery cost, including fees? What are the delivery hours? We will examine each of those questions and look at the plans for the restaurant, and it’s expanding capabilities. What is Uber Eats and How Does it Work? How Much Does the Popeyes Delivery Service Cost? When Can I Order Through Uber Eats for Popeyes? 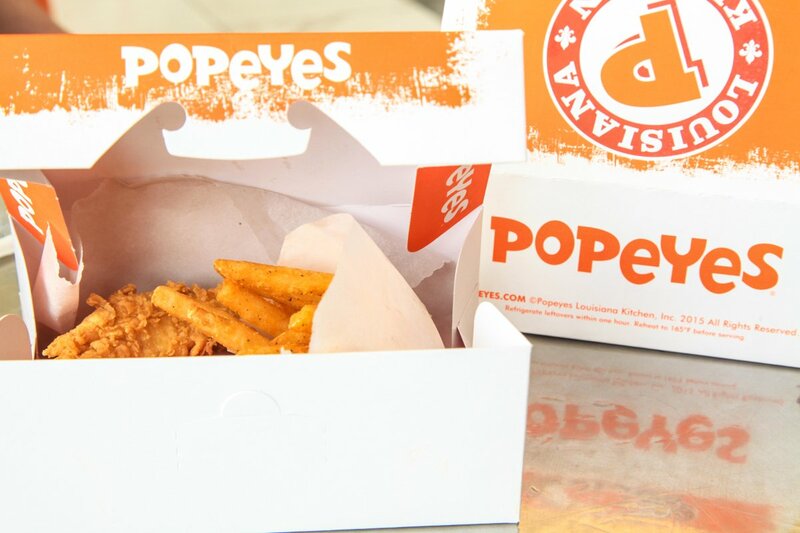 The delivery service through Uber Eats means you can get Popeyes chicken and biscuits almost any time and almost anywhere. When the service first started back in May, there were only four cities with select restaurants in each city offering the ability for delivery. Now, the service has expanded to virtually every area where the restaurant resides. The expansion from city to city began to grow exponentially since the inception in May. By September virtually every region has at least one restaurant with delivery options. The merger started mainly on the East coast where the Uber Eats helped spread the word, not that RBI needed the help. With constant updates on social media sites, the country was already on high alert that they could have the famous red beans brought right to their door. As the days went by, the availability spread. The Midwest and west coast soon followed suit offering door to door delivery on demand. In just a few short months there were very little delivery areas that didn’t offer the service, but for those that aren’t in the delivery areas, they won’t have to wait too long. As it currently stands Uber Eats is available in 50 cities across America and in 13 countries around the world. New Uber Eats directories appear weekly; you can always check if it is available in your area by visiting the website and entering your zip code, or by using the Uber Eats mobile app. Uber Eats is a spin-off from the popular Uber taxi service. Instead of picking you up and taking you to a location, though, Uber Eats sends a driver to pick up your food and deliver it to your home. The idea is a simple one and a copy of other popular delivery services like GrubHub and Seamless. The delivery service works with restaurants that don’t normally have an in-house delivery service. They supply a menu and pricing to Uber where you can then order it from, for an added cost. The way it works is fairly simple. You just log on to the Uber Eats website, find the eatery you want to order from and browse the online menu. Not every restaurant is available in your area so you will have to check if what you are after is offered locally. Once you have found your menu, you will need to understand that it may not be a full or complete menu that would be offered if you were there in person. With the idea being quick and accurate service, some menu items may take too long to prepare. The menu is supplied by the restaurant and isn’t controlled by Uber Eats. All pricing will also be supplied by the restaurant, and each item’s price will be listed on the website. Once you make your selections, you will need to check out. You will be responsible for the cost of the food, the applicable taxes and a fee to Uber Eats they call a booking fee. Your order is placed, an Uber Eats driver is dispatched to pick it up, and they then deliver it to your home or office. The actual cost of the food will depend greatly on the area you are in and when you order. Since the restaurant varies its in-store menu prices based on location (a meal will cost more in New York than it will in Bangor, for example), so too will the menu costs vary online. The prices between the local store and the online order form aren’t much different, though there may be small variances noted here and there throughout the menu. Supply and demand economics will have a little bit to do with that, but the differences aren’t that vast or noticeable. You will also cover the applicable sales taxes just as you would in the local store. If you live in an area that doesn’t pay sales tax, you won’t be required to pay it online, either. Everyone will have to pay the booking fee. Until recently, this was a flat fee of $4.99. However, as of late August, Uber Eats has switched their flat fee to a sliding scale fee. The scale range is anywhere from $2 to $8. There is a maximum booking fee that will cap your amount due. The maximum cap is designed to keep the scale competitive with other delivery services. The sliding scale format is also based on the time you order, the number of drivers available to make the delivery and how far away from the store you live or work. The further away you are, the more the fee will be. Times when the drivers are few or very busy, the cost will also go up. Because this is a dynamic scale, the amount you pay can vary from minute to minute. So just because you paid a $3 booking fee when you ordered at noon on Monday, doesn’t mean you will pay a $3 fee when you place an order at 4 pm on Wednesday. You could pay more or less, and it all depends on how many drivers are available and how many orders are being placed. Each Popeyes will have a say in when you can order form them. Obviously, you will not be able to order before they open or after they close. The Uber Eats app is always open as long as the food you want is being served in a restaurant at that time. For Popeyes, you will need to check with the local store to find out their operating hours. While it isn’t constant around the country, the general hours of operation for most of the franchise is 11 am to 12 am every day of the week. Some smaller market areas may have different hours, while seasonal hours will play a role as well. Depending on your location and the time of year the stores may close earlier or later than midnight. Weekends may see prolonged hours of operation, especially in tourist-driven areas at the height of their particular tourist season. If the store is still open the option to place an order with them will be available online or on the app. If the store is no longer accepting delivery orders (which will generally stop 30 minutes before closing time), you will be alerted to this fact through the app or online interactions. If Uber Eats isn’t delivering that mouthwatering chicken in your area just yet, you may not have to worry. Before you give up and just head out on your own (or worse, stay home and cook!) you should check out the other services that are in your area and see if your local shop is on their list. If those fail, you can always convince your neighbor to go for you and add an extra drumstick for his trouble. Popeyes made big news when they were purchased by RBI. They then made even bigger news when they partnered with Uber Eats. Now getting that hot, fresh chicken and crisp cajun fries are just a few clicks away from being brought right to your door. While the service is still working out the kinks and getting added to more and more cities around the country, you can rest assured that everyone is working together to make sure you can enjoy that Louisiana Fresh taste of down-home cooking delivered to you soon.